The Vice-Chancellor, Professor Olusola Oyewole, has cautioned admission touts to steer clear of the institution as it has zero tolerance for cheating and examination malpractices. 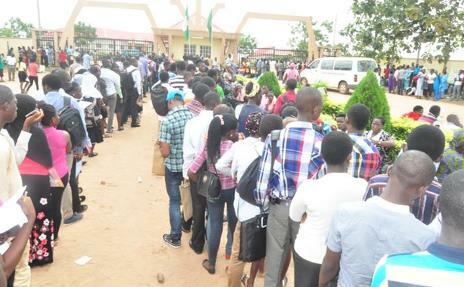 The Vice-Chancellor gave the warning while monitoring the entrance examination into the Pre-Degree Programmes of the University’s Institute for Human Resources Development (INHURD), in which over 6,000 candidates wrote the examination. 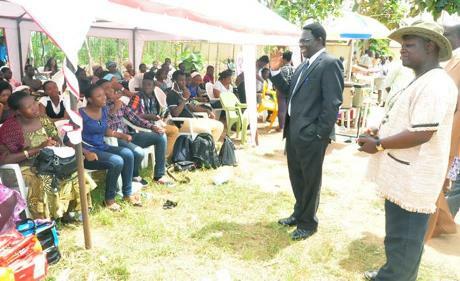 Meanwhile, the Director, Institute for Human Resources Development (INHURD), Professor Francis Sowemimo, while conducting the Vice-Chancellor round examination centres, thanked Management for creating the enabling environment, as he described the exercise as successful and hitch-free. He also expressed optimism that subsequent examinations would be computer-based, to fit the current global trend. Speaking with FUNAAB Bulletin, a candidate, Timilehin Bamgbose, said she would be very happy if admitted into the University because of its proven track records of discipline and academic excellence. Olufowobi Sulaimon, on his part commended the University for putting the necessary things in place at ensuring the success of the exercise. 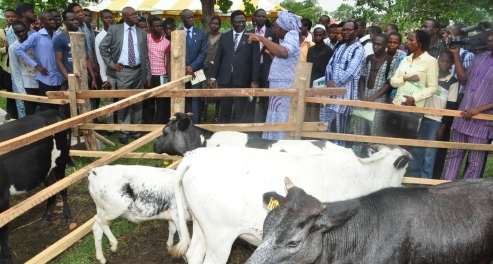 He said the University had carved-out a niche for itself in the areas of Science, Agriculture and lately, Management Sciences. Parents were not left out as those interviewed lauded the University for conducting the examination under a very conducive environment. To ease transportation problems, Management Committee on Transportation (MANCOT) buses were provided by the University, to convey candidates, their parents and guardians to and from the Mawuko campus of INHURD. 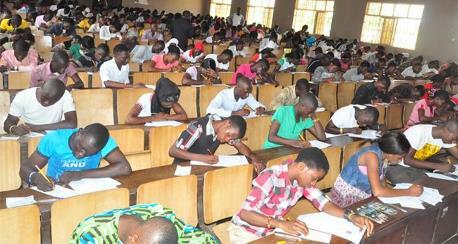 The maiden Pre-degree entrance examination was conducted in sustenance of the University’s tradition of academic excellence.